PERSPEKTIF (p-ISSN: 1410-3648; e-ISSN: 2406-7385): PERSPEKTIF journal is a peer-reviewed journal that publishes scientific articles in the field of law. The published articles are the results of original scientific research and review of legal interactions. 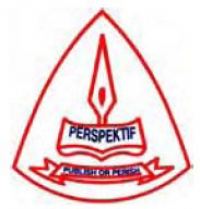 PERSPEKTIF journal is published by the Institute for Research and Community Services (LPPM) of University of Wijaya Kusuma Surabaya. PERSPEKTIF journal accepts any manuscripts or articles in the field of law or legal studies from both national and international academicians and researchers. The articles published in PERSPEKTIF journal have already been selected and reviewed by Mitra Bebestari as the peer-reviewers. The acceptance of articles in this journal is the right of Editorial Board based on recommendations from Mitra Bebestari. jurnal perspektif is not following anyone. jurnal perspektif has no followers.